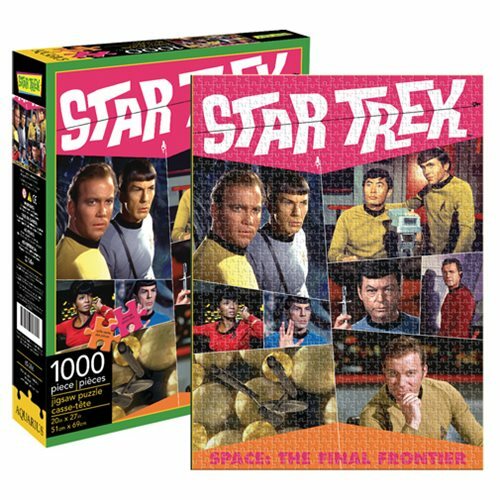 Space: The final frontier… except for assembling this fantastic Star Trek Retro 1,000-Piece Puzzle, that is! Measuring 27-inches tall x 20-inches wide when completed, it features Kirk, Spock, and the rest of the crew from the original TV series. "Fascinating!". Ages 14 and up.